Montrant 1 de 1 bateaux disponibles pour la location à Castellon pour la période désirée. Like a was a well-kept secret, Castellon offers a combination of history, culture and beautiful natural landscapes. Castellon is a city which tourists find particularly appealing for several reasons. First, it is situated on the coast of the Mediterranean with a marina and several beaches that are well serviced by sailboat and yacht rentals. Castellon also offers history and culture in its castles, museums and temples. The history of this ancient city is properly preserved in its architectural sites which are major tourist attractions. Valencia, a city popular for its aesthetic appeal is also located close to Castellon and could also be explored by tourists. Benicassim is another city that is close to Castellon. Benicassim is well known for its music festival. The architecture of Castellon preserved in its historic sites is a major part of its holiday appeal. Castellon is adorned with over 200 sculptures. Notable architectural sites that appeal to tourists include The Castellon Town Hall, Hemp Trading Hall, Castle Vell and Fadri Belltower. Museums in Castellon are also popular tourists attractions; they include the Bancaja Foundation Exhibition Centre and the Fine Arts Museum. Themes parks, natural parks and adventure parks in Castellon also encourage adventurous tourist activities which include mini go-kart and rock climbing. Castellon is also endowed with numerous beaches, coves and inland areas. Sailboats and yachts are readily available for tourists who choose to explore the water bodies, engage in water sports activities and sail out on the sea. The beaches and coves in Castellon are connected to several larger bodies of water which tourist explore. The presence of a marina in Castellon also makes sailing and yachting more appealing to tourists. Tourists charter yachts and head on to the sea for a variety of holiday activities which include water sports, watching the sunset and fishing. 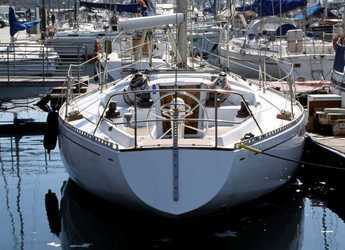 Several companies provide yacht charter services in Castellon to meet the needs of tourists. The marina of Castellon is fully equipped with bars, restaurants and cafes. Tourists can schedule an evening on the marina that begins with a nice early dinner and ends with a sailing trip. Gurugu beach is one of the most popular beaches in Castellon, and it provides grounds for a lot of activities. There is also a restaurant on this beach. Gurugu beach entertains tourists and visitors even up to the wee hours, especially during summer. This beach also leads to the sea from the Dry River and is a great spot to begin a sailing trip on rented sailboats. Serradal beach is another beach that leads from the mouth of the Dry River to the sea. The dune regeneration plan has also be effected in Serradal beach. Tourists can also explore other natural bodies of water along the coast of Castellon on sailing trips.